We are Osprey Publishing Ltd, a member of the Bloomsbury Publishing Plc group. Our contact and other details are set out at the end of this policy. The data controller in relation to the personal data processed in accordance with this policy is Bloomsbury Publishing Plc. We are a publisher specialising in military history. We publish books (including e-books) and also produce board, card and other book-based games under our brand Osprey Games. 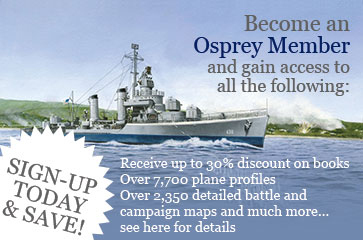 We run forums for people interested in military history and other subjects via our website, and individuals can become Osprey members (which entitles them to discounts on our products and access to other material such as maps and illustrations). We sell our books, games and other products both directly to individual customers and via retailers. We may collect your individual contact and other information that you give to us to enable us to fulfil any orders you make or otherwise to communicate with you in relation to the provision of books, games, other products or services by us (for example, in order to supply books that you have ordered, or to send you a newsletter that you have signed up to). Information that you give us may include (apart from your contact information such as your email address, postal address or phone number and IP address) credit card, bank account or other financial details relevant to payments made by you and other information relating to you that is included in any communications between us and you in the course of provision by us of books, game, other products or services. We may collect your individual contact and other information that you give to us to enable us to fulfil any orders that you (or the person that you work for) makes or otherwise to communicate with you in relation to the provision of books, games, other products or services by us (for example, in order to supply books that you or the person that you work for has ordered or to send you a newsletter that you have signed up to). 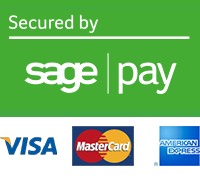 Information that you give us may include (apart from your contact information such as your email address, postal address or phone number) credit card, bank account or other financial details relevant to payments made by you and other information relating to you that is included in any communications between us and you in the course of provision by us of books, game, other products or services. We may collect information relevant to your participation or attendance in or at the competition or event, including your contact details and any other information we specifically ask you for at the time that is relevant to the competition or event concerned. We will use this information for the purposes of managing and administrating the competition or event concerned but not for any other purpose (such as marketing), except to the extent this is separately agreed with you at the time. We may collect your individual contact details in order to send you direct marketing material in order to advertise, market or promote our goods and services (this will be subject to your prior consent where appropriate). For example, you may sign up to receive one of our regular newsletters. We may combine this with other information we obtain about the things you are interested in and that are relevant to the services provided by us (for example, when you buy something from us or browse our website and view particular content) in order to help us ensure that marketing material that we send you is relevant to what you are interested in. We may collect your individual contact details, details of your past work and details of the work proposed for contribution or publication by you, together with other information relating to you that is relevant to the decision to commission or accept your work for publication or to publishing the work concerned, and we may use this information for the purposes of evaluating your work (or proposed work) and for dealing and communicating with you in relation to publication and sale of your work. Other information relating to you may include, for example, bank account or other financial details, and other information relating to you that is included in any communications between us and you or anyone you work with in the course of working with you in relation to the publication or exploitation of your work. We normally process personal data only in the UK or elsewhere in the EU or in non-EU countries (like Canada) that are certified as providing an adequate level of protection for personal data. If any relevant data is hosted on our behalf in countries that do not provide an adequate level of protection, then we will ensure an adequate level of protection by other means, such as use of appropriate contracts incorporating approved model clauses (see below). Where you order products from us that are distributed from any of our warehouses outside the EU, we may share information relating to you (your name and address together with the products you have ordered) to the extent necessary to enable our service partner who operates the relevant warehouses to deliver the relevant products to you. any of our group companies where necessary in order to address a specific order query or deal with a complaint that require escalation to another part of the business. To exercise any of your rights (including withdrawing relevant consents or obtaining access to your personal data), you should contact us as set out below. To stop receiving any marketing emails, you can click on the unsubscribe link in the relevant marketing correspondence.